It’s 2018 and League of Legends is still all the rage in multiplayer online battle arena gaming. It just keeps getting better. But with the so many characters (champions) to choose from and a huge and oftentimes critical community, the game can be intimidating for new people to get into. We’re here to change that. Here are 7 tips on how to start playing League of Legends. 1. Know the map – As a beginner, your teammates don’t expect you to formulate a strategy or have a good technique, but they do expect you to know the basics of the map. Top: The Top-laner is usually played by Tanks or Bruisers. These are characters who can take or deal a lot of damage (or both). Mid: Mid-laners usually have solid Ability Power, or AP for short. Mages and Assassins do well as Mids. Jungler: Junglers don’t have an assigned lane. They start out clearing the jungle of monsters. Later they drop into any of the three lanes to help their teammates by killing unsuspecting enemies. This is called ganking. ADC: Assigned to the bottom lane together with the Support, the ADC starts the game by farming minions, leveling up, and buying items that will increase their attack damage. Support: The Support’s main role is to keep the ADC alive, assist them in killing, and provide visibility for the team. Q, W, E, R: Your four main abilities. S: Stop whatever it is you’re doing. Useful to prevent yourself from auto-attacking minions. 1-6: Your items. You only need to press these if a specific item has an active ability. Spacebar: Centers the camera on your champion. Very useful during team battles when things get super hectic visually. G: Send pings to your teammates. Y: Locks/unlocks camera on champion. Tab: Opens up stats page for current game. 3. Pick one role and get good at it – With so many champions to choose from, coupled with the different roles you can take, it’s easy to just freeze up and not start at all. Just pick a role. Stick to playing that role for several hours, days or even weeks, and you’ll master that role and become a more competitive player. CS: “Creep score.” The amount of minions you’ve killed in a game. CC: Crowd control. Abilities that limit enemy champions’ ability to participate in fights—any move that temporarily stuns, roots, blinds, or disarms a target, for instance. Drag: Short for dragon or drake, is a powerful monster in Summoner’s Rift. When your team kills a dragon, you receive a bonus base on the dragon killed. Gank: Technically an abbreviation for “gang kill.” Basically, a gank is a surprise attack that makes the ones doing the ganking suddenly outnumber the opponents who are being ganked. Whenever a jungler jumps into a lane to help the teammates there kill their opponents, they’re performing a gank. Wave clear: A champion’s ability to kill an entire wave of enemy minions in one fell swoop or very quickly. Bait: Luring an opponent into a trap, usually by tricking them into thinking you’re weak, isolated, or both. Kiting: Running away from an opponent while simultaneously dealing damage to them. KS: “Kill-steal,” dealing the killing blow, and thus getting credit for a kill that someone else did all the hard work for. Leash: A method used to help junglers by attacking monsters in the jungle to chip away at their health and/or distract them while leaving the final kill for the jungler teammate. For a more exhaustive list, please go here. 5. Control Your Emotions – “Control, control, you must learn control.” These wise words from a green midget may have been spoken a long time ago, but they certainly apply to League of Legends. Letting your emotions get the better of you is counterproductive. It will cloud your judgement, ruin your game, and probably your day as well. 6. Devote time to playing the game – Of course it’s just a game! A really fun and satisfying one if you dedicate ample time to learning it (it’s even a full-time job for some!). As with any activity, serious or otherwise, you don’t get good at playing League of Legends overnight. A matc h typically takes about an hour or so. During that time make sure you rid yourself of any distractions (your mobile, the tv, etc.) because looking away for even a few seconds can spell the difference between losing and winning the game. 7. Develop a thick skin – You have to understand that people online act way more different than they do face to face. It’s far more easier to say nasty things to someone when he’s hundreds of miles away. Don’t let them get to you. Press mute, or report abusive players. That’s it, ladies and gents! Practise these seven tips and we can almost guarantee that you’ll be lost in the fun and camaraderie of League of Legends in no time. For a full, up-to-date beginner’s guide to playing League of Legends, please go here. I still remember the first time I was introduced to League of Legends back in my freshman year of college. This wasn’t too long after the game came out, so I was still pretty new to the game. I was playing a champion who wasn’t meant to be jungler, and I wondered why my teammates complained when I decided to wander into the forest and cross lanes. Without knowing what the hell I was doing, I was hopelessly lost. There weren’t a lot of trustworthy guides sites back then either, so I spent the majority of my time plumbing forum posts, reading guides written by fans on these forums, and asking questions of the community whenever I got the opportunity to do so. There was a sense of mystery back then that was very charming, and it reminded me of playing console games as a kid without really knowing any of the strategies to take on bosses in platformers. Trial and error was what it was all about, and I had fun with pure experimentation as a kid before I ever contemplated that professional gaming would ever exist. I handled my first months in League in exactly the same way, consulting people directly for advice and finding tips in the most obscure places. Flash forward to 2016 and players have a limitless amount of resources. There’s really no excuse not to have some knowledge on the game’s mechanics this day and age, even if you’re a casual player. That being said, many people have different learning styles. A lot of us are readers, some of us learn best by writing things down, and other people learn best by doing things directly, watching a video, or being consulted directly by a teacher. For people who learn best from one-on-one teaching, there’s always League of Legends coaching available. League coaching is a great option for players who learn better when being taught directly by a professional gamer. Our company offers the most comprehensive full-service coaching experience in the industry, and we ensure that you improve your skills with whatever champs you’re interested in improving your skills at. We offer a ton of different customizable options when it comes to learning how to play League. If you’re the type of person that learns best with a traditional teacher-student format, this may be the difference between you remaining a mediocre playing or becoming an exceptional one. Across the board, whenever you speak to professional gamers who have made a career out of playing League and other games, they all talk about how important it was to have a mentor. Unfortunately, most of us aren’t lucky enough to be in circles where professional gamers hang out—nor would a world-class champion be willing to teach the average person. When I started out in League, I would have been grateful to have mentor. Take a look at our coaching packages to enlist the help of one of the world’s best players for a great price, and we’ll help you learn how to improve your game. There’s never been a better time to play League of Legends, and if you have family and friends who haven’t yet taken the plunge into serious gaming, it’s a great time to introduce them now. League is a casual enough game that almost anyone can get into playing it—the game is addictive by nature, and almost everyone who gets a hold of it is instantly hooked. There’s something about the simplicity of it that draws new players in and keeps them interested for hundreds or even thousands of hours. It’s a good reason to get your real-life friends in on the fun, or to play with your family members. There are so many champions available on the free rotation that beginners can really get a hang of. As you might know if you’ve been playing League for a minute, there are a wide selection of different champions all with their own distinctive skill caps. Providing guidance for new players is a rewarding experience, and teaching the ins-and-outs of the game can be really fun, especially if you’re helping out one of your friends or family members. Thankfully, you can get started playing League for free, and since there is no initial investment, it carries no risk. If you end up turning your friend or family member on to the game and they become a serious player, you’ve got another person to play with in queues. It’s always more fun to play with people you already know, as there’s a pre-existing relationship between you, and that makes the game a lot more laid back. At the same time, I wouldn’t recommend introducing new players to the competitive side of League to begin with, as we all know the community can be a bit toxic. Start small and see if they like it, then go from there and provide guidance as things progress. You might end up introducing someone to their favorite new hobby. League is played by millions of players, and the community is growing every day. Consider how grateful you’d be, as an active League player, if you hadn’t known about the game and you were suddenly introduced to it by a friend of yours. For some of you, you might have started out playing the game in college or high school after one of your friends introduced you to it, so you know what I’m talking about. For players who are looking to get the most out of the game, consider a boosting or coaching package to unlock rewards you might not normally be able to get your hands on. What could be nicer than gifting your family member an account that is pre-boosted for them, then teach them how to play at a higher level of skill with the help of one of our professional coaches? Granted, you don’t even need to do this to have fun in League. Start small and work your way up with them, and you’re bound to have a blast introducing them to the excitement of mechanics that you often overlook with your own greater level of experience. A lot of players didn’t get the chance to start out with earlier incarnations of MOBA games. 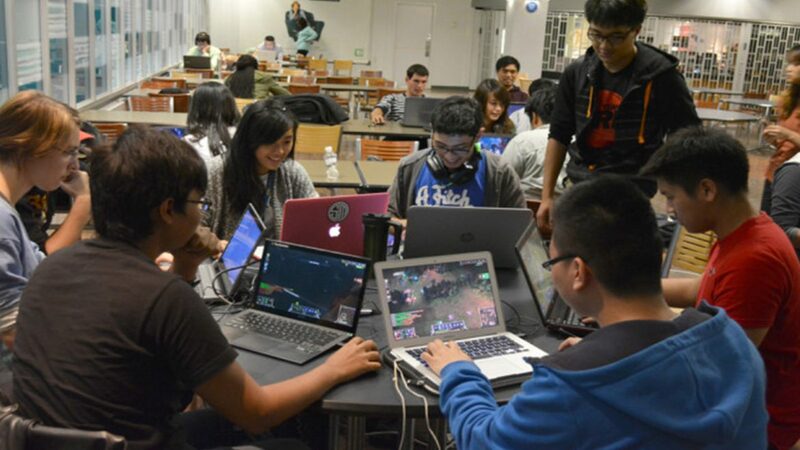 MOBAs like League of Legends and DOTA 2 are part of a long legacy of quick, action-oriented strategy games which put the emphasis on a single champion rather than an army of controllable units—but anyone who plays League already knows that. What some younger players might not know is that the modern MOBA genre originated with Defense of the Ancients, a popular map mod for Blizzard Entertainment’s highly-successful RTS, Warcraft 3. DOTA eclipsed the popularity of WC3’s regular multiplayer map modes quickly, reaching cult status in Europe and the United States. Arguably, if you reach back even further, the starting point really began in 1998 with a map mod for StarCraft, another Blizzard strategy game. The mod known as Aeon of Strife allowed players to control a single hero unit to take down a wave of NPCs attacking from three different lanes. The lanes were connected to the home bases of two different teams, and the ultimate objective of any given match was to destroy the enemy team’s headquarters. Aeon of Strife provided the MOBA genre with the foundation behind its universally recognizable game mechanics—mechanics which emphasize both simplicity and a hidden complexity. The meta strategy of MOBA games tends to reveal itself after hundreds of hours of play. Mechanics that were overlooked by new players begin to be revealed gradually as experience is accumulated. When you start out playing League of Legends, you’d be forgiven for not understanding how to weigh the best strategic choices and how to utilize your toolkit to the highest level of effectiveness. As you play more and more, the hidden aspects of the game’s strategy overall begin to reveal a far more multifaceted experience. We’ve come a long way from the days of Defense of the Ancients and Aeon of Strife. 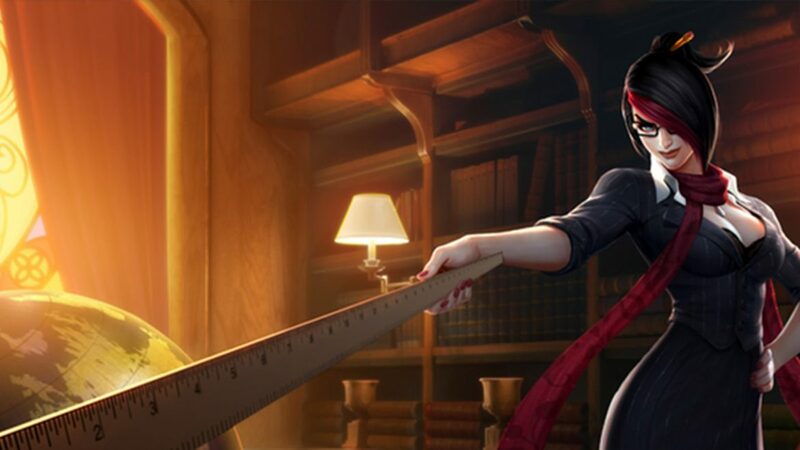 League has more champion choices than any previous game in the genre, and this results in a lot of trouble for the developers as they are constantly working hard to ensure the game is as balanced as possible. 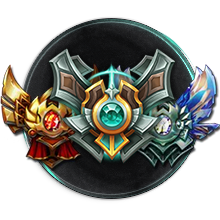 Keep in mind, attaining perfect balance in a game like League of Legends is a major effort, and if your particular champion feels a little bit anemic after a patch change, try and operate within the new parameters of what is possible with your favorite heroes—better yet, learn to play ones you might not have given the time of day before. If you’re interested in skipping all of the inconvenience of having to look up guides, learn strategies, and play with players who are dispassionate or toxic, consider enlisting the help of our professional boosters. We can bring you all the way up to diamond, if you desire it. We make sure you get where you need to go faster than any other provider of boosting services in the industry. Otherwise, continue playing the game on your own—but keep us in mind when you’re looking for a boost! The boosting industry got its start around the same time that League of Legends was released. Although it was nowhere near as large then as it is today, a dedicated few made various account services available to a flourishing community of players who understood that League was a good enough game to one day become as popular as titans like World of Warcraft. 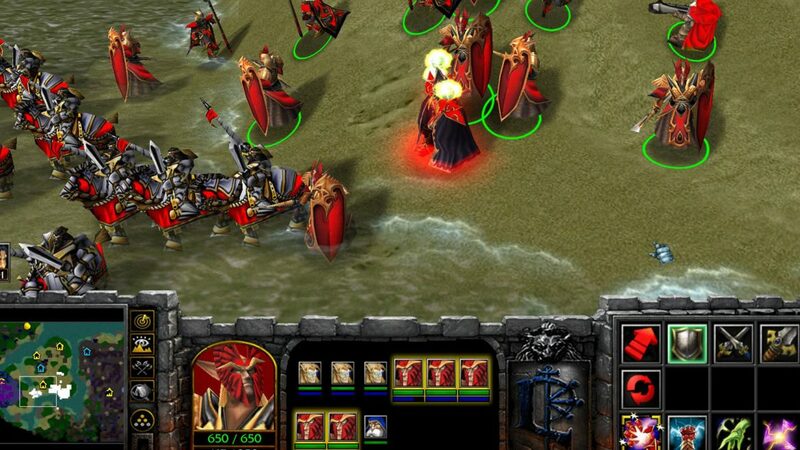 MOBA-oriented action has always been addictive, starting with Warcraft III’s original Defense of the Ancients map mod. While people had some inclination that Riot’s highly appealing next-generation MOBA at the time would end up being a hit, almost no one anticipated it eclipse almost every other game in popularity, remaining at the top spot on Twitch.tv consistently for the last few years. With only CS:GO, World of Warcraft, Hearthstone, and Overwatch coming close to League in sheer number of active players, Riot has been going head-to-head with industry titan Blizzard Entertainment for years, which is a little ironic when you think about the origins of the MOBA genre. All in all, they have managed to craft a superior experience to the original WC3-based DOTA format. The broad appeal of LoL is derived from the fact that is simple to learn and difficult to master and offers a way for players of all skill levels to enjoy a quick game or an extended session. Many of our boosters started playing LoL on day one, and a few of them even started boosting during the game’s first year of being active. Back then, there weren’t a lot of organized providers of boosts outside of China, and most of the websites that offered services for the game were available on video game marketplaces and private trading forums where WoW gold and game currencies were offered; this meant that there was a lot less protection for the consumer, as there were no objective reviews as to which services were actually high quality and which ones were downright dangerous. We were one of the first LoL boosting sites to sell ELO boosting to the masses, and after we received our first positive reviews on various gaming forums, our service exploded in popularity. As the industry’s authority on high-quality boosts, we remain one of the most widely-used companies today for players in all regions—primarily the United States and Europe, as all of our staff speak fluent English and cater best to western countries. We’ll be covering the history of DOTA and MOBA games in a future article. If you’d like to learn a bit more about the meta and you enjoy reading articles about boosting and League in general, please check back regularly. We post every other day and keep our blog consistently updated.